Neil Gaiman's Coraline meets Anne Ursu's Breadcrumbs in M.P. Kozlowsky's The Dyerville Tales, a powerfully imaginative middle-grade novel that blurs the line between fantasy and reality, from the author of Juniper Berry. I am very excited to be a part of the The Dyerville Tales blog tour hosted by Walden Pond. Although I am way beyond the age of reading picture books, I still enjoy a good illustrated novel. The Dyerville Tales is a middle grade novel that is full of great descriptions and action, and also has pictures! Yay! On this leg of the blog tour, you get to see one of the illustrations found in the novel. Meet The Witch of the Woods. Pretty creepy looking, yes? Vince Elgin is an orphan, having lost his mother and his father in a fire when he was young, but beyond that, his life hasn't been much of a fairy tale. With only a senile grandfather he barely knows to call family, Vince was remanded to a group home, where he spun fantastical stories, dreaming of the possibility that his father, whose body was never found, might one day return for him. But it's been a long time since the fire, a long time since Vince has told himself a story worth believing in. That's when a letter arrives, telling Vince his grandfather has passed away. Vince cannot explain it, but he's convinced that if his father is somehow still alive, he'll find him at the funeral. He strikes out for his grandfather's small hometown of Dyerville carrying only one thing with him: his grandfather's journal. 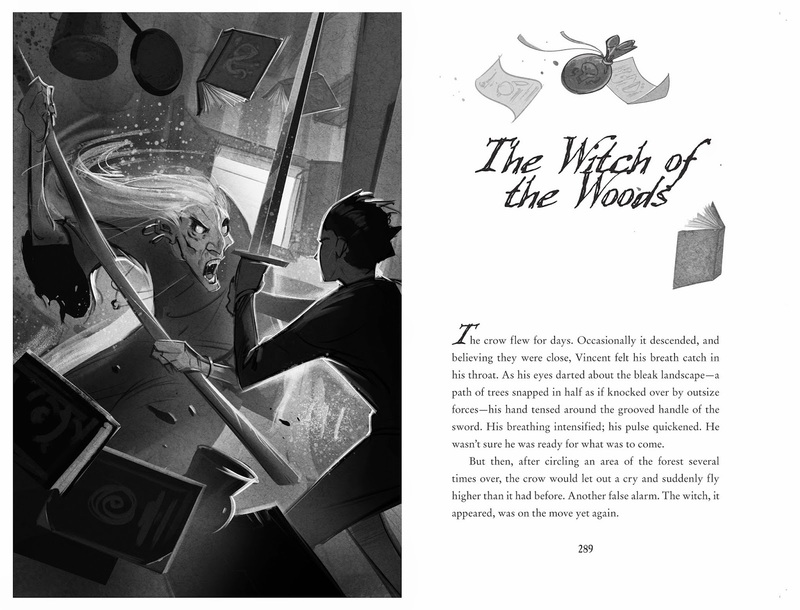 The journal tells a story that could not possibly be true, a story of his grandfather's young life involving witches, giants, magical books, and evil spirits. But as Vince reads on and gets closer to Dyerville, fact and fiction begin to intertwine, and Vince finds that his very real adventure may have more in common with his grandfather's than he ever could have known. 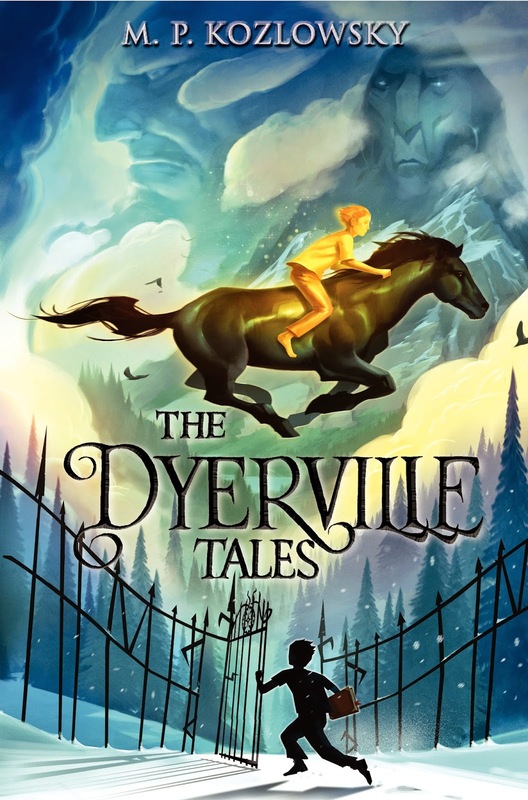 Its unique voice and ability to combine creepiness with great story and character development make The Dyerville Tales a real standout middle-grades novel. M.P. Kozlowsky is also the author of Juniper Berry. A former schoolteacher, he lives in new York City with his wife and daughter. Visit him online at mpkozlowsky.com.